Who’s making video clips? Not me…but does it matter anymore? I’m usually happy and eager to explain my work to anyone who asks. I keep cool when people mix up technicalities related to film and video – after all, I don’t know the finer points in other professions and industries. For example, my latest climate film Small Islands – Big Impact is slightly under 6 minutes, yet it’s a complete product. I spent two months working on actually making it, and almost 20 years covering the story itself. But the distinction between film and clip is not widely understood. In fact, the digital revolution seems to have added to the confusion. The Wikipedia says a media clip is a short segment of media either an audio clip or a video clip. In other words, a part of something bigger. That’s part of the confusion. With the spread of broadband Internet , which enabled greater bandwidth to both content creators and users, video clips have become very popular online. But that’s not all. While the TV/video industry widely accepts the above definition, the computer industry seems to use ‘video clip’ generically to mean any short video, processed or otherwise. This is how video clip is defined, for example, by YourDictionary.com and PC Magazine’s online encyclopedia. In this era of media convergence, when films an TV programmes are made using non-linear technologies enabled by computers, it’s no wonder that ‘video clip’ means different things to different people. Maybe I should stop being such a purist. 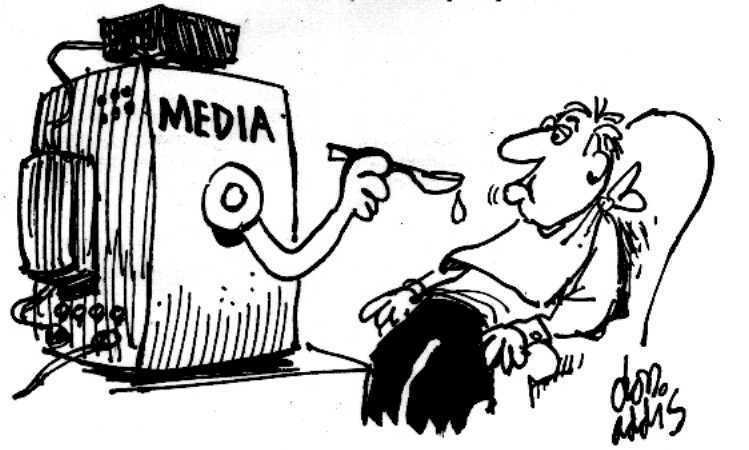 After all, as I keep reminding my colleagues, students and anyone else who cares to listen to me, media is a plural! One thing is for sure. Literacy rates and computer literacy rates have been rising worldwide in recent decades. But when it comes to basic media literacy, our societies still have a long way to go. PS: In July 2007, we had an interesting discussion on this blog on the shrinking durations of Nature and environment films and TV programmes. The moving images community seems divided on this, with some purists holding out that to pack complex, nuanced messages into a few minutes is akin to ‘dumbing down’. Noted film-makers like Neil Curry disagreed. Do you believe everything you see on TV? Some do! I read this remark, by a hapless woman victim of an investment scam, in a Sri Lankan newspaper report last week. 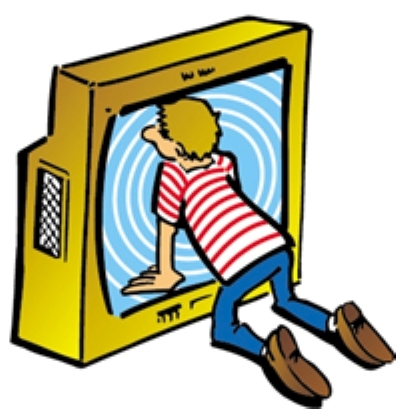 It got me thinking: where is our media literacy? Sakvithi Ranasinghe, a populist tutor of English turned millionaire businessman, had just fled the country after duping thousands of unsuspecting people to deposit their life’s savings in his investment firm. Media reports have variously placed the number of victims between 1,500 and 4,000 — and some estimates place the total worth of his loot to be a whopping Rs. Nine billion (over USD 83.5 million). This local scam may seem insignificant in the current global context when established and well respected banks and financial houses are collapsing one after the other in capitalism’s biggest crisis in decades. But for the several thousand victims, the effects are devastating. The woman quoted in the news report is not an isolated case. Too many people, it seems, were mesmerised into parting with their money due to a deviously persuasive media campaign. For several years, Sakvithi ran English teaching programmes on Sri Lanka’s national television and other channels. On the guise of teaching English (which he didn’t do very well), Sakvithi manufactured a larger than life image for himself. He also ran regular newspaper advertisements in the highest circulating weekend newspapers. Some were in full colour, occupying an entire broadsheet page. These too reinforced his image as a benevolent, enterprising young Sinhala businessman doing social good. Not everyone, it seems, heeds the common sense advice, ‘Don’t believe everything you read/hear in the media’. Indeed, the Sakvithi scandal once again brings into sharp focus the media’s — especially television’s — perceived role as the great authenticator of our times. I have just written an op ed essay for the citizen journalism website Groundviews, where I suggest that the mainstream media outlets that repeatedly sold airtime or newspaper space to this man must now share part of the blame for misleading the public. I also argue that besides timely regulatory action and proper law enforcement, we also need greater vigilance by the media, and higher levels of media literacy in everyone to safeguard society from this kind of media manipulation. “I find it more than a tad ironic that the same media outlets are now peddling the tales of woe of the thousands of men and women tricked by their former, big-time customer. Knowingly or otherwise, these media have amplified the mesmerising tune of this pied piper of Nugegoda who lulled thousands into parting with their money. “Their journalists would no doubt protest innocence, reminding us of the divide between editorial and advertising operations. And they are right: media practitioners and editorial gatekeepers don’t have much (or any) control over what fills up the commercially sold advertising space. But how many of their readers or viewers can distinguish the difference? “Most people experience media products as a whole, and lack even the basic media literacy to separate news, commentary and paid commercials. Besides, with the rise of ‘advertorials’ — product promotions neatly dressed up as editorial content — it’s becoming harder to discern which is which. Read the full essay on Groundviews.